If you are ever passing by the alpine village of Stoos, you can now get a once in a lifetime experience of getting a train ride up the famous Alps, in what is now the steepest train ride in the world, in Switzerland. The train is specially constructed as a cylindrical container which pivots as the train goes through the sharp incline making sure your sense of view is not affected by the incline. The climb is around 110m and the ride only lasts about 4 minutes, but the view is spectacular. 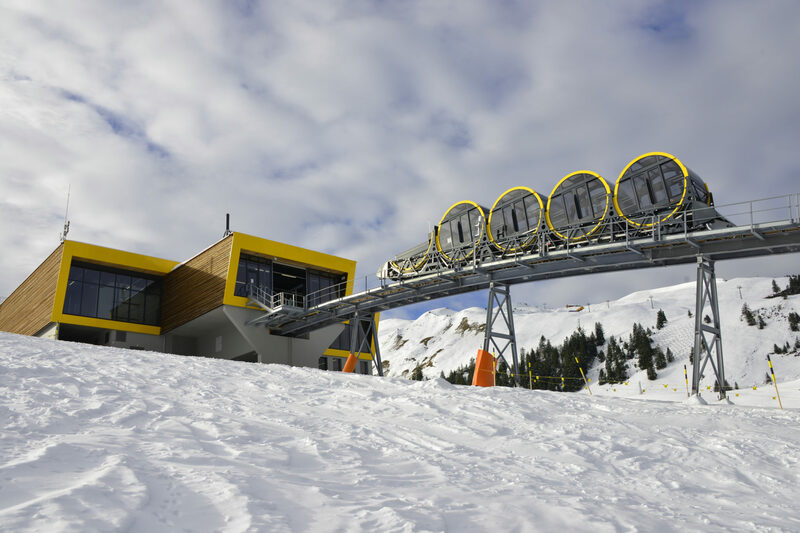 The Stoos Bahn(yes, the train has a name) took over 14 years to build and cost over 52 million Swiss Francs, the Stoos Bahn aims to serve as a way for the locals to commute from one side of the Alps to another during their daily lives. Each of the cabin holds 32 people and it runs at a speed of 10m/s. So what do you think of this cool new train located at the Alps?. Will you dare ride it? A New Platform for Online Grocery Shopping is Here! Spook Your Halloween with Our Top 5 Movies!